Kyle and James face their fears and revisit the horrors that await in “Hereditary”! Kyle and James discuss one of the best and most topical movies of 2018, "BlacKkKlansman"! Kyle and James welcome listeners back to the podcast with one of their favorite talking points: telling people not to see movies! Clyde and Jaden REBOOT LOUD on the Set, with perfect topic film, Jurassic World: Fallen Kingdom! Kyle and James have sponsored what apparently has become a sentient AI movie reviewing and recommending phone system, with no ability to control it, and today its all "Star Wars"! Kyle and James "phone it in" this week with a review of "The Big Sick"! 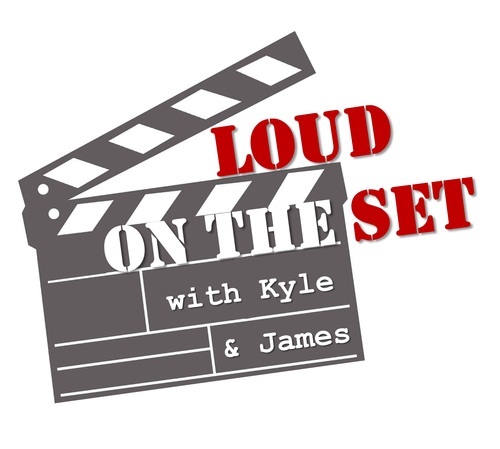 Kyle and James send one more long time guest of the show through the LOUD on the Set Gauntlet, and that guest is the wonderful Aaron! Kyle and James review the holiday classic "A Christmas Story", with a panel of wonderful guests! Kyle and James interview new guest David to run "The Gauntlet", to surprising results! Kyle and James review the last new trailers of the year, viewing them live, and react to what promise or disappointment they hold, with special guest Kjira! Kyle and James have created an interesting movie service with "Movie-Pod", a helpful phone assistant like the "Moviefone", complete with new AI features! Kyle and James most hilarious moments from "Loud on the Set", it's Best of LOUD on the Set Volume #5! Kyle and James run their guests through the "LOUD on the Set" Gauntlet - interviewing them with the hard hitting questions they have debated on the show, with guests Hallie and Chris!